GUEST POST by Randall Neighbour, randallneighbour.com. Randall Neighbour is more than just another group-life guru to me. He’s a friend whom I’ve partnered with in many ways. He and the organization he leads, TOUCH Outreach Ministries, has published five of my books. Back in the day, Randall asked me to lead training seminars in churches through the ministry. 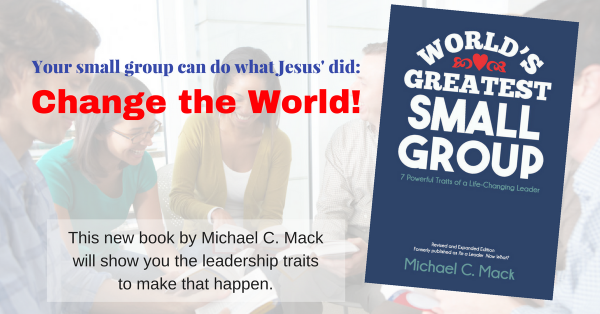 Randall constantly challenges my thinking about group life, discipleship, and leadership. Today, Randall and his wife Etna lead a house church, and while he admits they are still in the relatively early stages of the learning process, I believe many of us can learn much from their journey. NOTE: I am asking small group experts from various—and sometimes opposite—viewpoints to post on this blog. This is on purpose! I want to offer different points of view to help you think. My hope is that you will discover biblical principles (not church structures) that you will implement in your ministry. Throughout my life I have been the champion of cell groups that make up cell-based churches. With the exception of the USA, cell-based churches are commonplace today. Christians around the world have been discipled and released to minister the Gospel of Jesus Christ with close friends in their groups and these churches are flourishing. These cell-based churches are growing leaps and bounds because the pastors and members understand that their small group structure was not put in place to close the back door or keep people coming back to hear the pastor’s sermons and bolster volunteerism. As you well know, Americans are not like any other group of people. We are the greatest consumers on the planet, and it’s showing up in our churches. Big churches are growing larger, and new churches being planted have visions of multi-site congregations to reach as many consumers for Christ as possible. In Organic Church, Neil Cole writes, “What you draw them with is what they’ll be committed to.” Offer amazing children’s programming and stage sizzle with some slick postcard mailings and voila! In just three years you’ll have a consumer-filled megachurch with satellite campuses dotting the landscape. Attendance in both large and small groups may be high, but the ministry belongs to a few, despite the fact that those few want everyone to be equipped ministers with a sacrificial and successful ministry. In 2011 my wife Etna and I left the brick-and-mortar church experience to experiment with a house church. We didn’t leave because we were disgruntled or unhappy we didn’t get our way. Our church helped us find deep healing we needed for the path ahead. We made the decision because we had a number of friends who were now unchurched or never went to church because they didn’t buy into the consumer-turned-volunteer mentality found in brick-and-mortar churches around Houston. Before you make any assumptions about me, know that we envisioned a cell-based house church network. The house church members gather to study and apply the Word each Sunday. Midweek, the members meet in cell groups to minister to one another and strategically relate to unchurched friends and family. When the house churches are too big for the host home, we send out a handful to start a new house church and cell groups. In 2011, that was the plan, and it’s still the plan. We feel it’s a plan from God because I’m now being contacted by church leaders I worked with for years in cell ministry who have been given the same vision from our Lord. What have we learned so far? I’ll share this in the next blog entry, but let me close with this… If you have no interest in perpetuating consumer Christianity and you want to give this house church thing a go, you’re probably far more equipped than you think.